Digital is changing the pharma and healthcare industry..!! The pharmaceutical and healthcare industry is rapidly coming to terms with digital technology. New tech companies are entering the market and existing players have had to up their game, across marketing, sales and operations. If you're relatively new to pharma, like me, here's a summary of just some of the biggest trends. A fairly obvious area for improvement, and one we can pretty much all relate to as consumers. 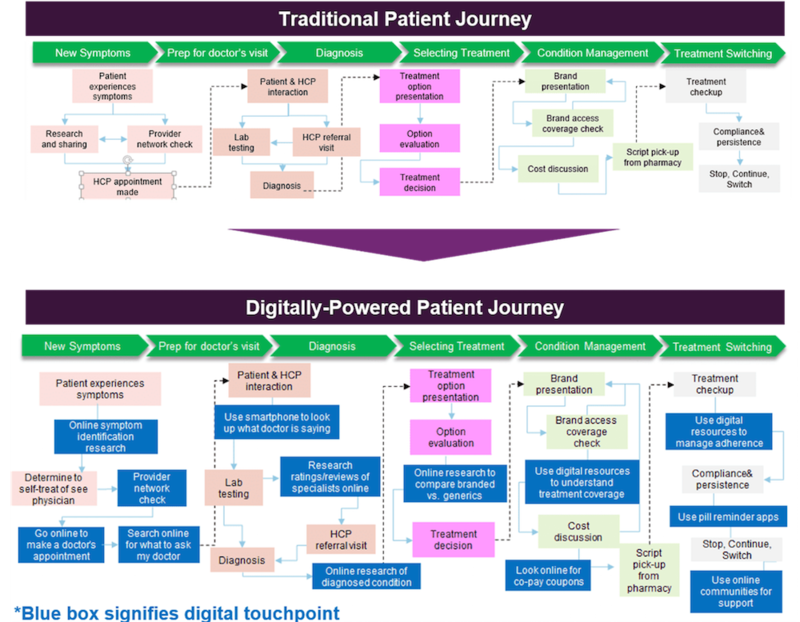 The typical patient journey is ripe for digital disruption, as the diagram below from DRG Digital shows. From the healthcare provider's point of view, the visit, diagnosis, treatment selection and condition management stages are all points where the patient could be more involved / better updated. Patient portals, apps and online communities are increasingly commonplace. The second and third generations of this technology should help improve customer experience. It's fairly obvious that whilst drugs are vital in treating many conditions and diseases, there is much more for the patient and physician to consider. That could be anything from education or lifestyle advice, to emotional support. Pharma companies have always engaged with the end consumer but digital technology ultimately promises much greater scale. One such example is AstraZeneca's Day-by-Day coaching service for patients recovering from a heart attack. The service provides a combination of digital content and one-to-one coaching, partnering with the HIPAA-compliant Vida app. The app helps patients to manage stress, find information, learn about caregiving and chat with a coach. Novartis has taken a similar approach with its Together in HF social network. The ultimate aim, of course, is for pharma companies to look more to outcome-based solutions which involve greater engagement with patients and third parties. In order to achieve this they must not only assist with holistic patient care in this way, but must also advocate a combination of therapeutics, whether or not they themselves manufacture them. Providing this type of customer experience may be quite a step change, but pharma has for a decade been coming to terms with the internet's impact on patient knowledge and behaviour. Consumers are ever more motivated by finding the best treatment and the cheapest price, and pharma must provide the best outcome-based approach to cut through. Indeed, some companies are partnering with third-party tech companies in an effort to promote an unbiased presence in the market. The concept of the connected human being given personalised care and improved diagnostics is one long foreseen by science fiction. Since wearables entered the market, the idea of ongoing measurement has seemed less fanciful. Indeed, the ubiquity of the smartphone now gives the prospect of reliable access to patient data in the real world. One well-publicised example of digital medicine is the ingestible sensor in development by Proteus Digital Health. The company received FDA approval in 2012 for a drug-sensor-app system, which is used to montor adherence. When the patient takes their pill, it dissolves in the stomach and causes a small voltage (as a small amount of magnesium and copper come together). This voltage is then picked up by a sensor on the body (stuck to the arm) which relays the information (time of ingestion) to a smartphone app and then on to the physician. Proteus has trialled this system with an antipsychotic and a hypertension pill. The obvious extrapolation is to a future where a range of patient data is securely transmitted to the physician and this will mean less time spent on diagnostics (or more accurate diagnostics) and more on personalising treatment. This aggregation and analysis of patient data is a field where the seeds of disruption in pharma could already be sown. Watson Health Cloud was created in 2015, in partnership with Apple, Johnson and Johnson and Medtronic, and provides analytics services to healthcare professionals. 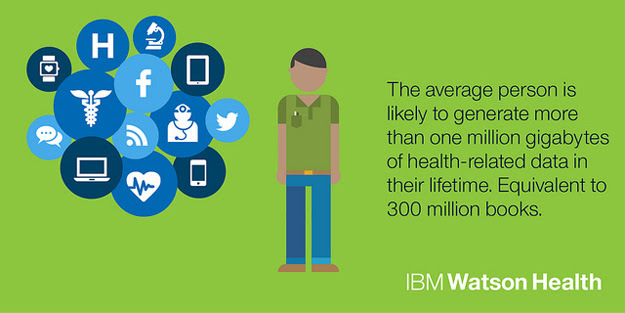 Watson Health Cloud analyses data from personal devices, connected medical devices, implants and other sensors, and can support clinical decisions and reduce incorrect diagnoses. Consumers may be motivated to use services such as Apple HealthKit as they pursue value and the best treatment. This is an area where pharma companies will have to keep step, especially when it comes to proving the value of their drugs. Payors, too, may use more patient data to determine payment. However, it's worth pointing out that a big wave of extra data doesn't necessarily represent a panacea. The fully quantified self has many ethical and privacy concerns - as Watson builds out knowledge of genomics, clinical and exogenous data, these issues will continue to be debated. Back to some good old-fashioned marketing now. Too often, private healthcare professionals or providers must meet with multiple reps from the same pharma company. This is understandable given the expertise needed within each specialism, but from a customer point of view, busy healthcare professionals (HCPs) may be left wanting a more flexible solution. Increasingly, pharma companies are using digital technology (both customer facing and back-of-house) to provide this. CRM systems can achieve a single customer viewand digital communication channels can provide access to samples and resources (for HCPs and patients). .
SKURA is one tech company that provides such digital sales enablement for life sciences, and it defines this role of supporting HCPs as 'the trusted concierge'. The aim is just like that of CRM in many other sectors, to 'deliver personalized messages to customers at the right time using the right channel in order to increase revenue and reduce costs.' . Digital sales aids and marketing are now firmly on the rep agenda. .
A related area is that of more effectively targeting patients. Patient finder technology such as Vencore Health Analytics combines clinical knowledge with big data to allow drug manufacturers to identify potential patients that may have a disease that is hard to diagnose. . This is similar to the Watson solution discussed above, using health records, genomics and claim data. Such data analysis will not only ultimately improve treatment, but necessarily increase the number of diagnoses. . In a recent post on CRM, marketing automation and data management, I discussed the concept of XRM ('anything' relationship management). CRM is not just about increasing sales through customer-facing technology or through analytics. There's much to consider in drug production, too. RandD can be improved by bringing real-time technology to bear on clinical trials, and the supply chain could benefit from better sales and operations planning. This would bring better productivity, inventory levels, and service levels. A common theme in the digital transformation of any industry, the digitization of the supply chain represents a security risk to pharma but is a necessary step in meeting raised expectations from all parties. The proliferation of health analytics solutions has implications for drug development, too. Manufacturers will have access to much more real-world data and this will undoubtedly assist in understanding the effects of a drug. Abernethy goes on to suggest that this means clinical informaticists must eventually rise to become business leaders in pharma, as they help companies come to terms with losing dominance of information about their products. So, not only will drug discovery increasingly be aided by digital technology (in predicting successful drugs), but so too will the monitoring of drug use on a wider scale. Although healthcare professionals will continue to represent the relationship between patients and the pharma industry, digital trends are demonstrating that an increasing amount of patients are more engaged with their medical treatment plans. McKinsey cites a survey where over 85% of patients were found to feel confident in their ability to take personal responsibility for their health and understand how they can access digital and online resources to assist them. Because of the sheer amount of digital information accessible on healthcare and pharmaceuticals, people are more comfortable with taking their well-being into their own hands. This information allows patients to develop a better relationship with their health and evaluate the cost of the pharmaceutical products or healthcare services they may need. 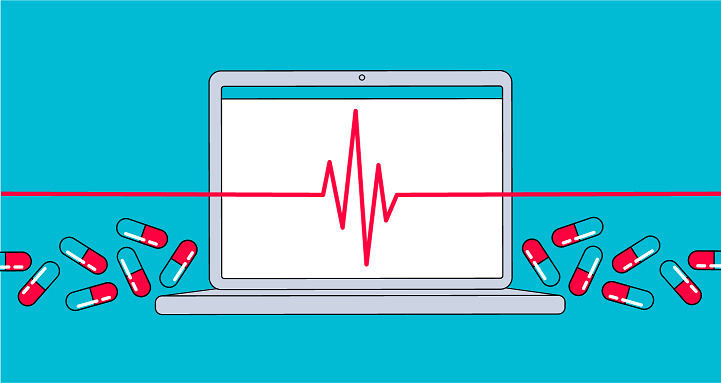 For new pharmaceutical companies, digital transformation trends like these can be beneficial, as the pharma industry has an opportunity to connect and engage with potential patients online while they are researching the benefits of certain products. In Econsultancy’s 2018 Digital Trends in Healthcare and Pharma report, almost 500 healthcare and pharma industry respondents were involved in uncovering which areas of digital marketing will be “very important” as in the next few years. According to their findings, 74% of respondents from the healthcare and pharma industries stated that “optimizing the customer journey across multiple touchpoints” will be among the most important digital marketing strategies in the near future. So what does this mean for new pharmaceutical companies, healthcare professionals, and patients? 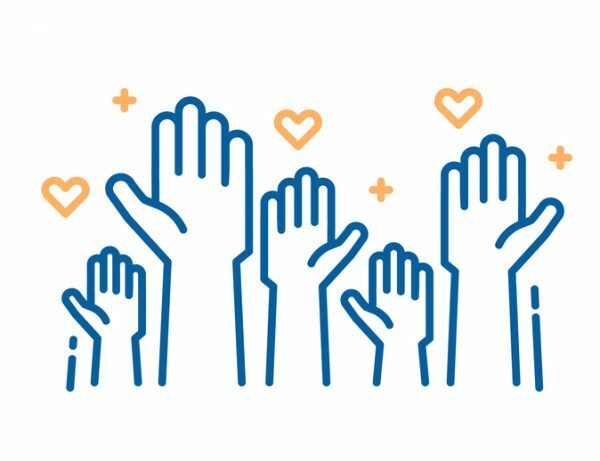 Simply put, it means that there will be broader engagement with patients and physicians from multiple touchpoints of the patient care process. From pharmaceutical sales reps to patient teams, up-to-date and 24/7 virtual care will become the norm throughout the industry. According to McKinsey, there are already virtual-care apps in existence, including NeoCare Solutions from Aetna, which works to provide on-demand assistance from neonatal nurses after parents return home with their infants previously in intensive care. Personalization will play a key role in this transformation from restricted office hours to 24/7 access to care. Technology like sensors and apps will allow for unique patient care that is customized to suit their specific needs. Some patients already have access to wireless sensors. For pharma and healthcare companies, this change in expectation and experience will mean that a customer-centric change is in order for success. However, the Digital Trends and Healthcare report warns of bureaucratic processes and slow growth for large-scale organizations as being the main challenge to survive these digital transformation trends. To best avoid these struggles, it’s time to start considering your company’s digital transformation roadmap and how necessary changes can be streamlined. McKinsey states that rather than simply being a provider of drug-based treatments, new pharmaceutical companies will provide a complete treatment and value as part of a “digital ecosystem.” As a part of a net that includes sensors, apps, and drug treatments, healthcare and pharma industries will combine data and biophysical measurements to optimize patient care. Luckily, digital innovations are allowing large-scale organizations as mentioned above to thrive in the midst of major industry changes. Future-forward technologies like AI that can make complex decisions using in-depth data and analytical calculations are transforming strategic processes as we know them. 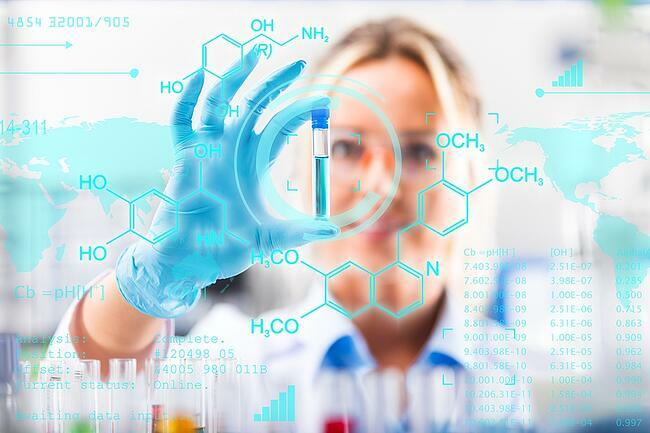 For example, as more and more patients are given access to scientific information about their prescribed treatments, the transparency of the research and development (R&D) portfolios behind these treatments will be needed to meet customer and patient expectations, to keep them at the forefront of their industries. Although the pharma industry can be slow to adapt to change due to regulatory restrictions, many top pharmaceutical companies have made significant progress on their journey to digital transformation. 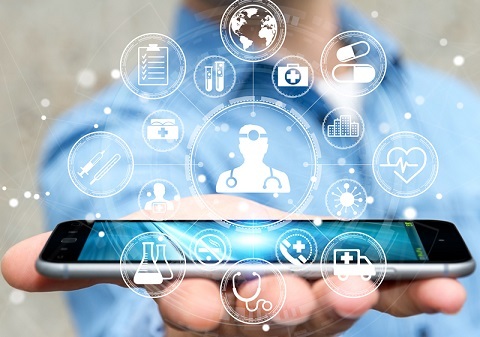 According to a report by the Deloitte Centre for Health Solutions, the number of pharmaceutical apps developed by pharma companies has tripled since 2013, with 305 apps developed in 2013 and 988 in 2016. In the same report, the importance of the “connected patient” is stressed. With 77% of the U.S. population using smartphones to access information online, people are now able to track their own health with the use of smart applications on a regular basis. In addition, a survey of 190 patient groups found that over 50% of individuals surveyed use a health app “regularly” or “occasionally,” with almost 70% stating that they use at least one health-related app to manage their diagnosed condition. To succeed in this new digital landscape, pharmaceutical and healthcare companies must develop more personalized patient care that keeps them engaged through the use of accessible visualizations of data and real-time care. Whether they choose to develop the apps that measure biophysical statistics of patients or create multiple touchpoints throughout a patient’s duration of care, an increase in digital innovations in healthcare will impact how they do business, regardless of how they adapt to these changes. For organizations to survive and thrive in a digitalized healthcare industry, pharma and healthcare companies must start generating ideas and implementing digital strategies immediately to develop a business model that allows them to transform their capabilities and strengths. At the end of the day, it’s vital that pharma and healthcare companies keep their end-goal at the center of their mission: the health and safety of their patients.